Smell of cooking food is different such as the food will be either vegetarian or non-vegetarian. Some of the families don’t like non-veg food’s smell in the home. So, they await to remove the smell as soon as possible. Whereas, some families like to eat chicken or fish meal. But one thing is common that no one likes smell after cooking in the kitchen. While serving meal we like to smell the food. Often, finishing it notices the smell in the kitchen which not liked by us. If you want to remove cooking smell, you have to proper ventilate your kitchen. You can do it, just by opening the windows, use any fresh air, use chimney or exhaust fan. 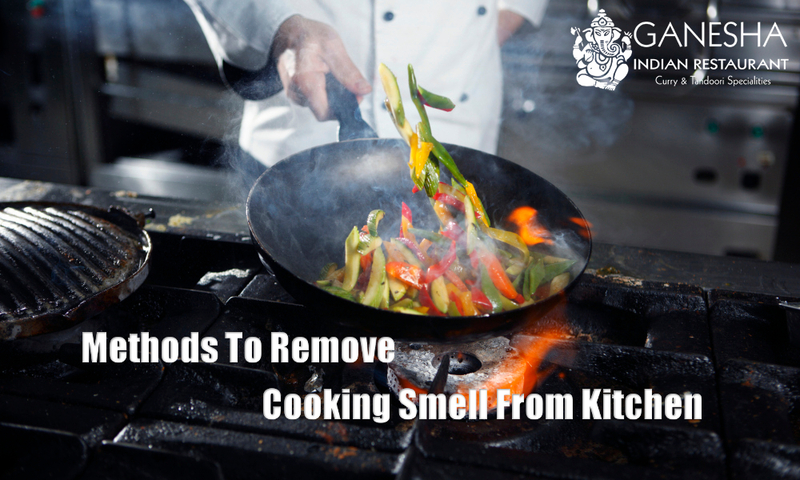 By using all these strategies definitely, cooking smell leave to your kitchen. It will spread outside from the kitchen but, don’t worry it’s for short time. Keep on the exhaust fan while you are cooking food in the kitchen. It helps to exhaust the smell out from the kitchen & spread it out in a very short time. This thing is very important to remove awful odor. We should clean the utensils immediately after cooking or eating. Clean the cooking area properly by using some detergents whichever you use to clean your utensils. Lemon is also very helpful and creates natural air freshener. Just take a lemon in small amount and mix it with the water before scrubbing and cleaning the cooking area. Also, we can use it with salt it sustains to going out the smell terribly within some hours. Make a cup of coffee in the kitchen after, cooking the fish or chicken. It is an easy way to fill a home with the pleasant aroma. The Best way to keep your kitchen hygiene and free your kitchen from awful smells. Air Freshener is a first think which came in mind. If, you are not interested to like use homemade techniques to rid smell then, must go with the market products which sustain to remove the awful smell easily. If a guest is expected to visit your place and you don’t wish to welcome with stinky smell.